This book tells the remarkable story of the resurgence of Daoism in China today and its ongoing role in leading China’s ecological revolution. China’s environmental problems are no secret, and only in recent years have they begun to be addressed at the top levels of power. This is thanks in part to the dramatic resurgence of Daoist culture and influence in the country today, just decades after the Cultural Revolution had sought to wipe it out. 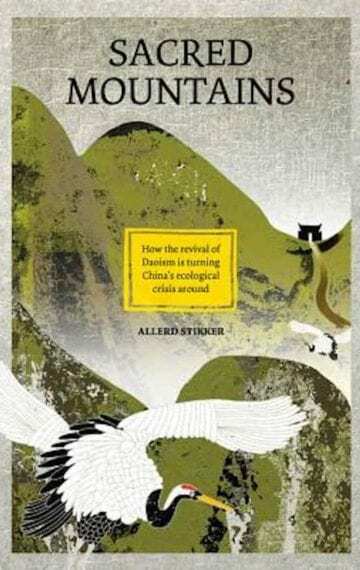 Sacred Mountains tells the remarkable personal journey of Allerd Stikker from captain of industry to champion of spiritual and ecological causes, and shows how his transformation set in motion similar changes in China. With China’s ongoing emergence as a dominant player on the world stage, focus is turning ever more eastwards. This book is an invaluable insight into the philosophical heart of a land too often defined by its hard political facade. Mesmerising artwork and expert contributions round out a sweeping blend of history, spirituality and politics that relates how these made the past and can shape the future of both China and our planet. A journey of 1,000 miles begins beneath one’s feet. The words of Chinese philosopher Lao Zi perfectly capture my wonderful journey through the world of Daoism over the past thirty years. What began as a casual acquaintance with Daoism on the island of Taiwan, which I visited on many business trips in the 1980s, has led to a close partnership with the China programme of the Alliance of Religions and Conservation (ARC), a British non-governmental organisation that since 1995 has collaborated with the world’s faiths to protect nature and create ecological awareness. On the way, I discovered how the Daoists’ cosmological view of the world, where humanity and nature are inextricably linked, fits in beautifully with my personal ambition to achieve a better global balance between economy and ecology. And I also discovered how well this ambition dovetailed with the mission pursued by ARC. Please read the rest of Allerd’s introduction here in pdf.